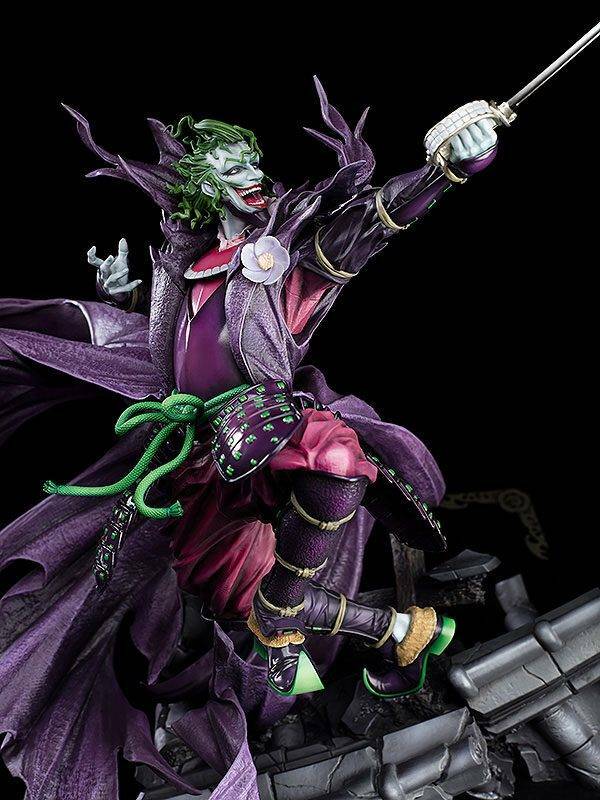 From the animated film "Batman Ninja" comes a 1/6th scale statue of Joker. 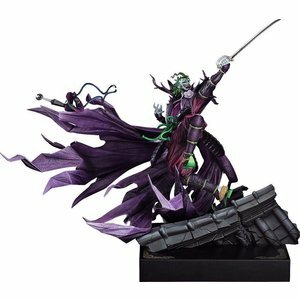 The statue is based on an original art piece by the series' character designer, Takashi Okazaki, and will be limited to 1000 pieces worldwide. 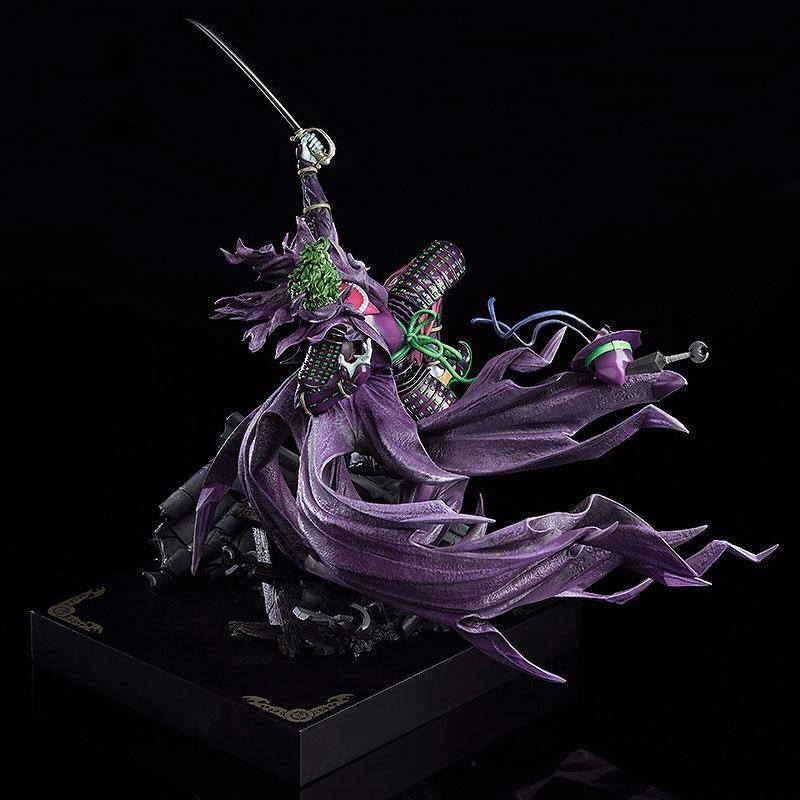 His unbalanced pose holding his sword has been dynamically recreated. The texture of his armor has been carefully sculpted using real armor as a reference. 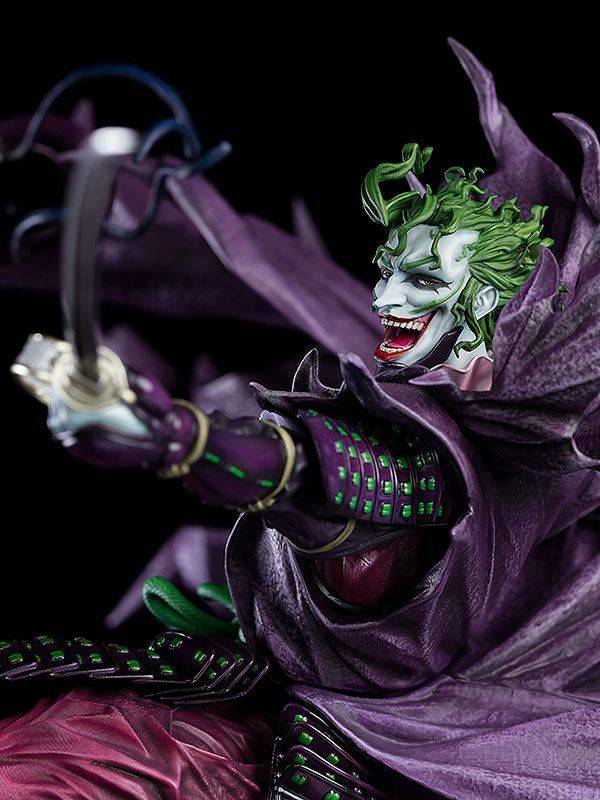 The hem of his flapping cape has also been textured in detail for an impressive appearance even from close-up. 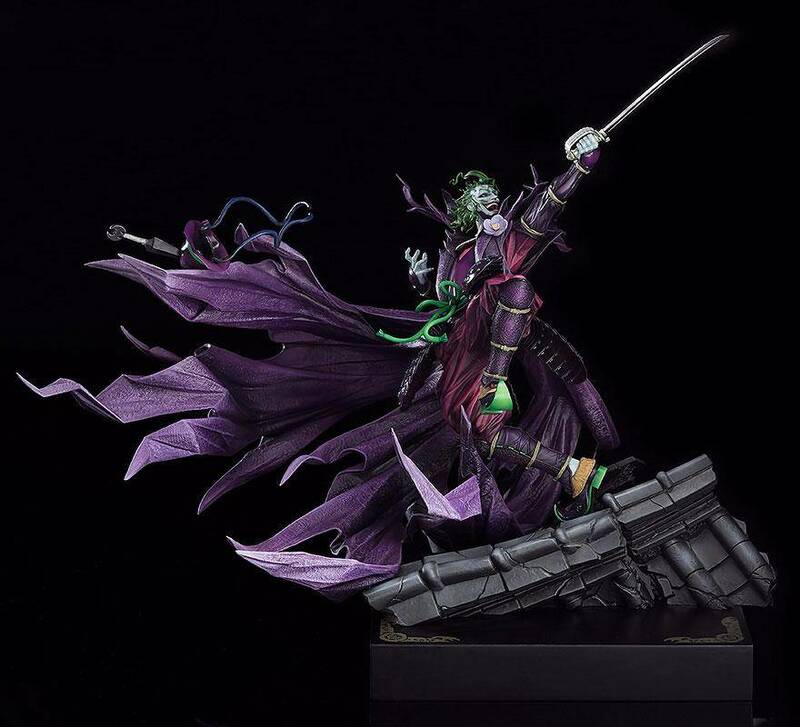 The base of the figure is designed to look like a broken roof, with Joker moving on perilous footing. 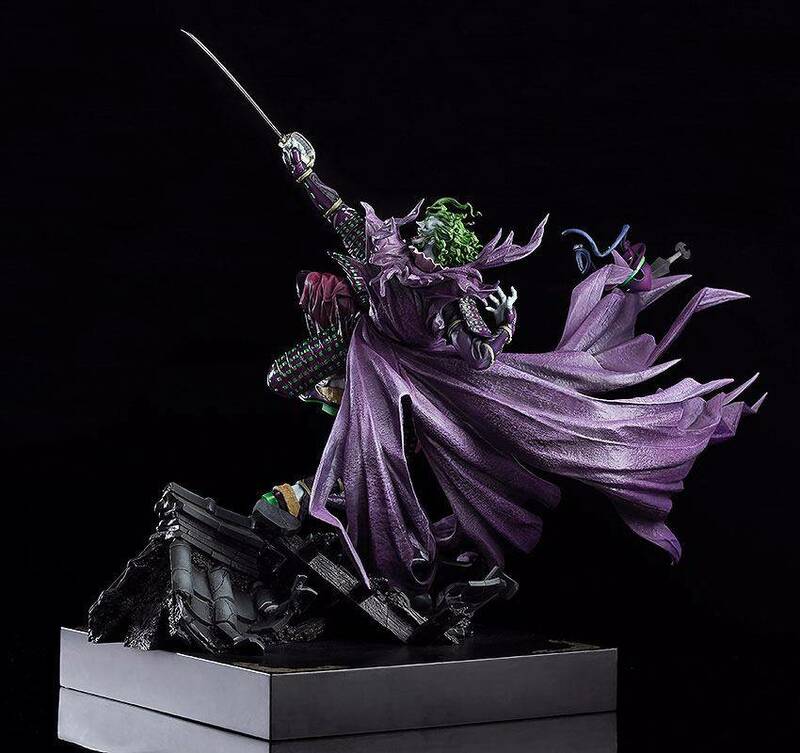 This statue can be displayed with "Batman Ninja: TAKASHI OKAZAKI Ver." 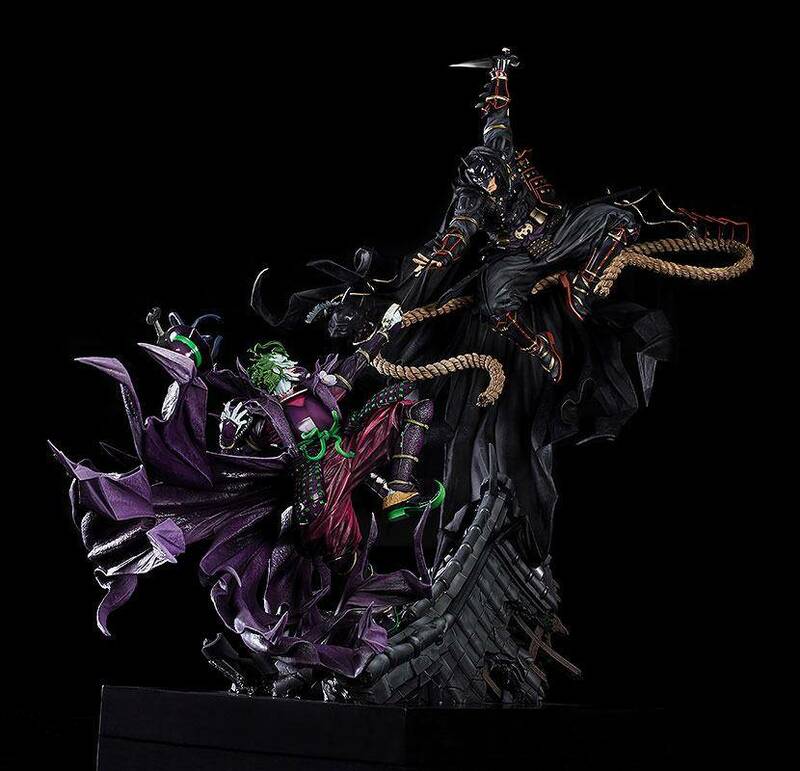 to recreate a scene of the pair facing off. 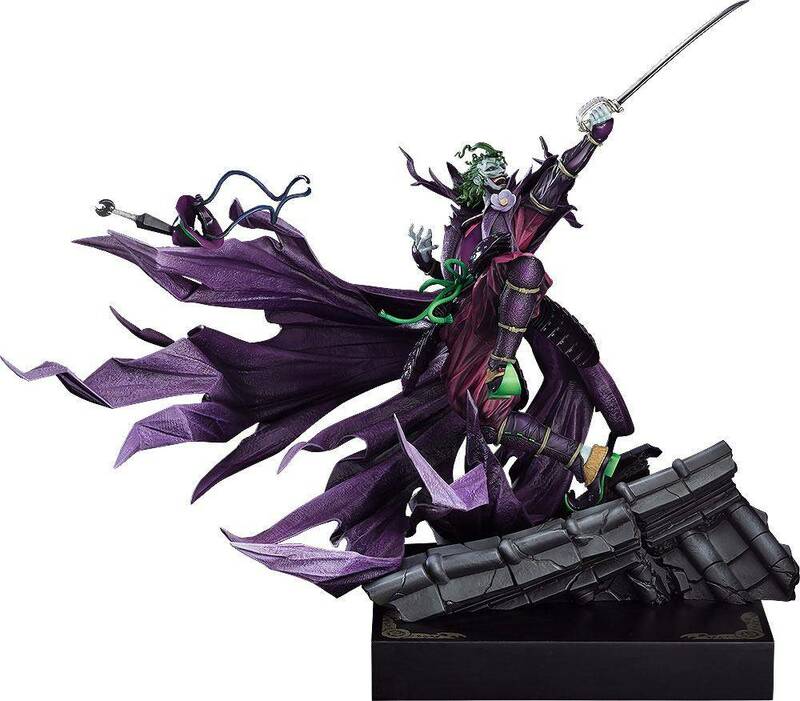 Sengoku Joker: TAKASHI OKAZAKI Ver. 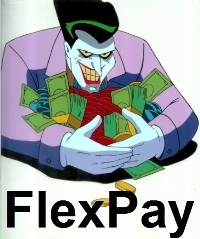 is a high-quality art piece, and only 1000 will be made available worldwide. Each product will be engraved with a unique serial number.